The dream of learning to fly is in many of us from an early age. Many people don’t do anything about it for a long time and decide to undertake training for a private pilot licence later in life. In most cases, the cost is something that deters people from learning to fly until there’s a little more money saved up. Since I learned to fly prices have crept up, and people tell me that ten or more years before I learned it was very much cheaper. So, what’s the situation in 2017? 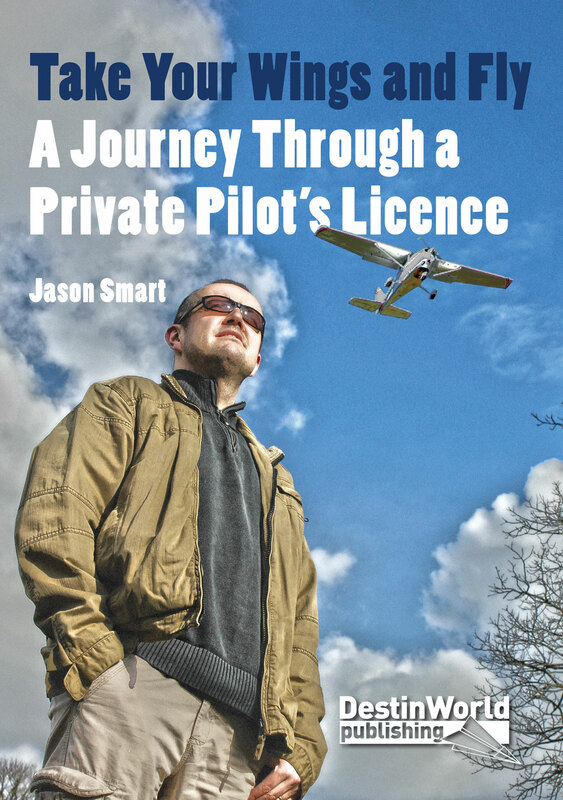 What does a private pilot licence cost? Learning to fly is not just about the cost of taking lessons. There are many other costs involved which can add up and need to be considered in advance, so as not to surprise you. Here are the things you’ll pay for when learning to fly. Lessons – This covers the aircraft rental, the instructor’s time, landing fee and fuel. Equipment – You’ll need various bits of kit in your flight bag, from maps to rulers, kneeboards and logbooks. Study Material – In order to prepare for exams and learn about flying you’ll need to buy books and study guides. Exams – The private pilot course includes a number of written and oral exams. Each has a cost. Test and Application – Once you’re ready, you’ll need to pay for a test and the cost of applying for the licence itself. Club Membership – This is sometimes included in the cost of lessons, and sometimes added as an extra which must be renewed every year. Check with your flying club. The type of private pilot licence you undertake will determine the cost of becoming a pilot as some require fewer lessons, but restrict the type of flying you can do afterwards. National PPL (NPPL) – This lets you fly only ultralight and vintage aircraft within the UK. Light Aircraft Pilot Licence (LAPL) – a basic pilot licence which lets you fly with up to 3 passengers. It has a simplified training course and less stringent medical requirements. It requires a minimum of 30 hours training. Private Pilot’s Licence (PPL) – the full licence, allowing you to operate single engine aircraft in VFR conditions across Europe. It requires a minimum of 45 hours training. I’m writing this from a British perspective with the cost of learning to fly in the UK. It’s generally accepted that the cost of learning to fly is different in different countries, with places such as the United States significantly cheaper than the UK. So check around for your local prices if you’re not in the UK. The cost of flying lessons also depends on other factors, such as the type of aircraft you learn in (4 seaters are more expensive than 2 seaters; microlights are cheaper to learn in than standard light aircraft, but give you a limited licence). After considering these different aspects to learning to fly, you’ll see that the total private pilot licence cost can vary depending on what type of licence you get, where you learn to fly, and what type of plane you learn to fly in. There are also ways to reduce the cost, and it’s always advisable to shop around and ask flying clubs if they have any offers, starter packs, or ways to get free lessons if you pay into an account (for example, pay £1000 and get a free lesson, or buy ten lessons up front and get one free). You could also potentially make a significant saving by paying for the entire 45 hour course up front. But beware of doing this if you’re not sure of the quality or financial stability of the flying school – the last thing you’d want is to put thousands of pounds into a club, only to lose it when they close down a month into your training. How Much Does Equipment, Exams and Study Material Cost? 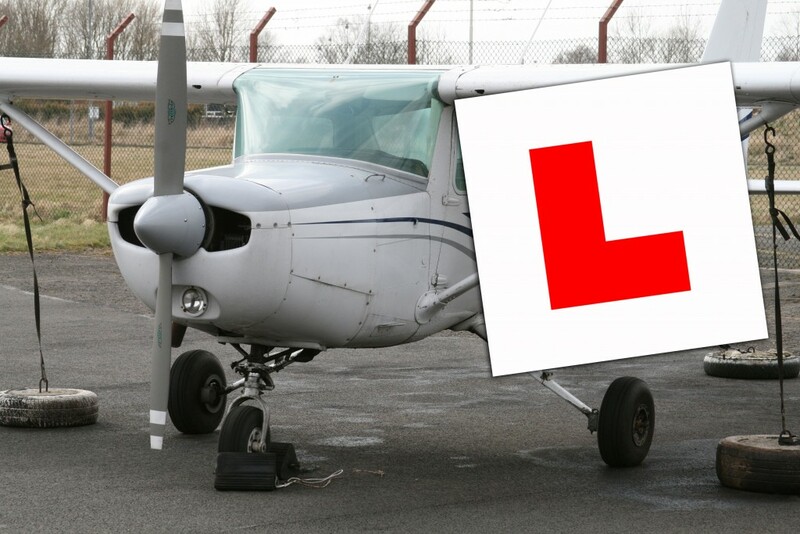 The full private pilot licence includes 9 written exams, which typically cost £20-30 each. There is also a radio telephony (RT) oral exam which costs £50-60. Equipment and study material can add another £200-300 to the cost of learning to fly, but can be purchased as and when needed as you progress through the course. If you know of a good deal on private pilot licence costs, why not leave a comment below. Maybe you’ve also found ways to save money when learning to fly? Let us know too. 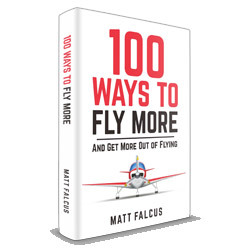 You may be interested in our new book: 100 Ways to Fly More and Get More Out of Flying, which offers tips and advice on how to fly more often, save money flying, and add additional licences once you have a PPL. Next story You Got Your Pilot’s Licence. What Next?